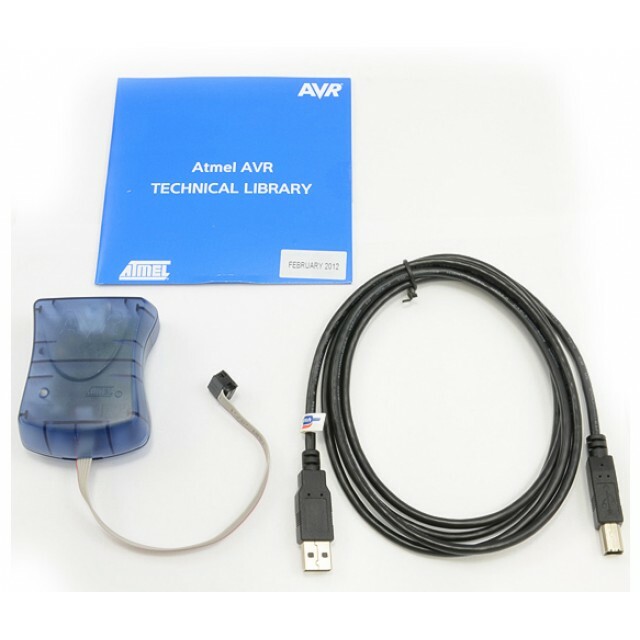 AVRISP mkII User Guide (.pdf). Atmel Studio IDE Archive (HTTP). 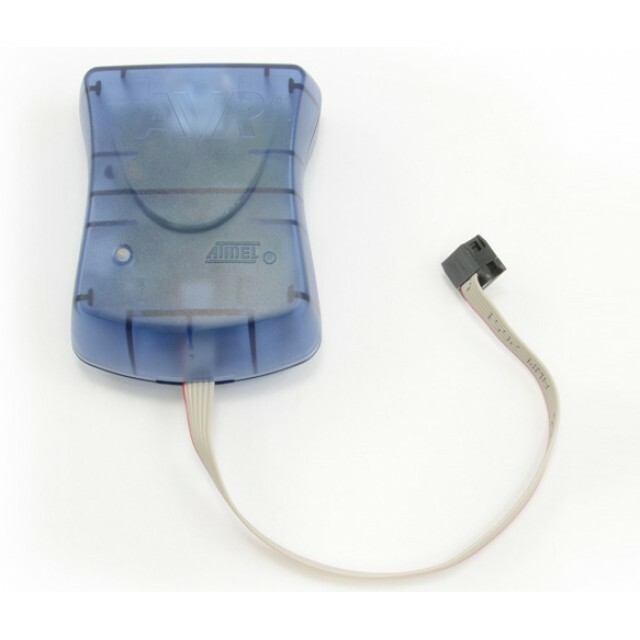 AVR® In-System Programmer mkII is used for field upgrades of AVR Flash microcontrollers. 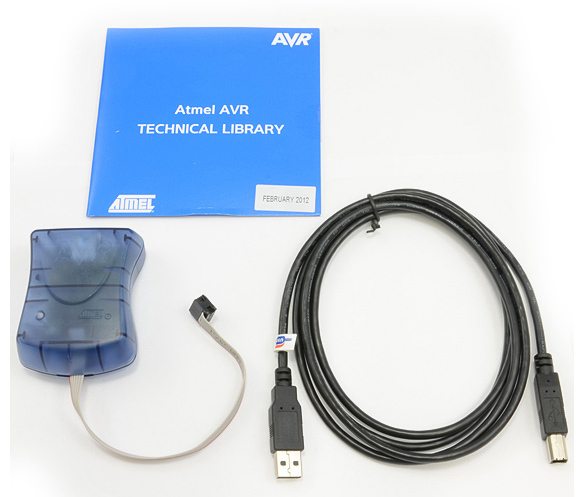 The AVRISP mkII combined with AVR Studio® can program tiny AVR and mega AVR devices using the ISP Interface, tiny AVR devices with TPI interface, and AVR XMEGA devices using the PDI Interface. AVR Studio compatible (AVR Studio 4.12 or later). Supports all AVR devices with ISP or PDI interface. Programs both flash and EEPROM. Supports fuses and lock bit programming. Upgradeable to support future devices. Support target voltages from 1.8V to 5.5V. Adjustable ISP programming speed (50Hz to 8MHz SCK frequency). USB 2.0 compliant (full speed, 12Mbps). Powered from USB, does not require external power supply.